Satin finished sterling silver. Approximately 1.5" x 1". 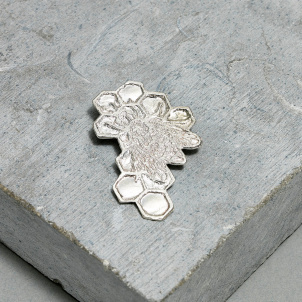 This sterling silver necklace is a part of the Flora jewelry collection by Kiki Smith. 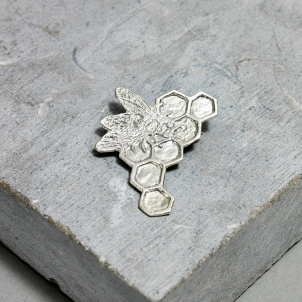 The collection was inspired by the live bees busy making honey on the roof of the Whitney. First edition: 50 each design. Since she emerged in the early 1980s, Kiki Smith has developed into one of the most fascinating and original artists of our time and is now a major figure in the world of contemporary art. Her provocative meditations on the human condition, the body, and the realms of myth, spirituality, and narrative have resulted in works of extraordinary power and uncommon beauty.